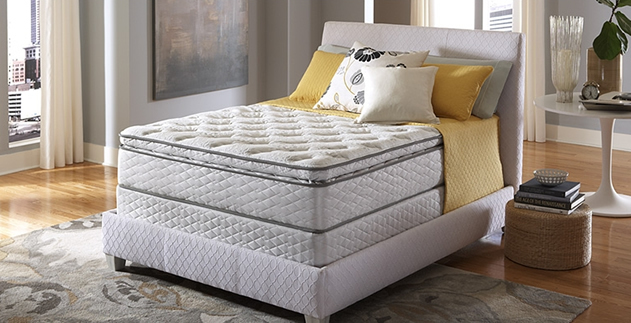 Five Star’s “Pro Comfort” collection is designed to provide enhanced comfort with proper support, with Mira-Coil innerspring unit, a continuous coil design with Head-to-Toe Coil Construction to help promote proper back support and reduce motion transfer. Rows of continuous coils run head-to-toe, with each coil attaching to its neighbor, for the durability and stability needed to provide support while absorbing motion. Plus, Foam Encasement helps strengthen the mattress edges while extending the sleep surface. The Pro Comfort collection offers a choice of models at value price points. Whether you prefer a firm, plush or even a luxurious pillow top, Pro Comfort offers outstanding value at every price.